The Kimbell Art Museum in Fort Worth, Texas, United States has become too small. In 2006 Renzo Piano has been contaced. Piano has a lot of experience in the construction of museums and in the enlargement of cultural objects: 4 Art Museums only in the U.S. have been extended by him. Initially hesitating, Renzo Piano took the job and surpassed himself. The Piano Pavilion symbolizes simplicity and ease. 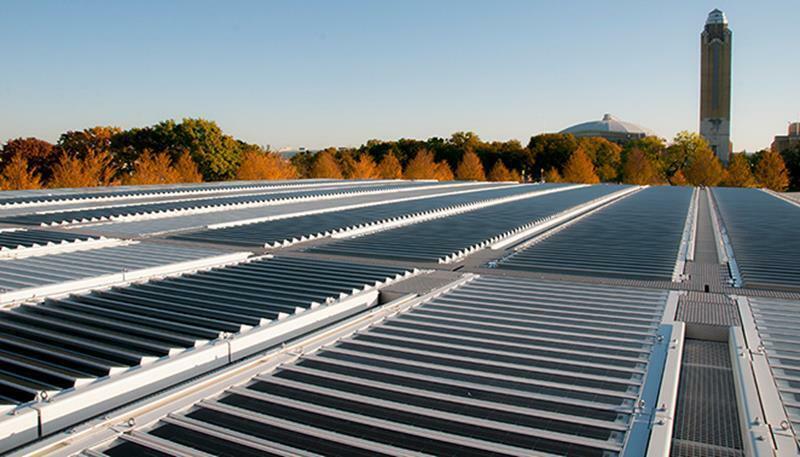 As with all his museum buildings, Renzo Piano experimented with the natural light, here primarily with the complex , sophisticated roof system. 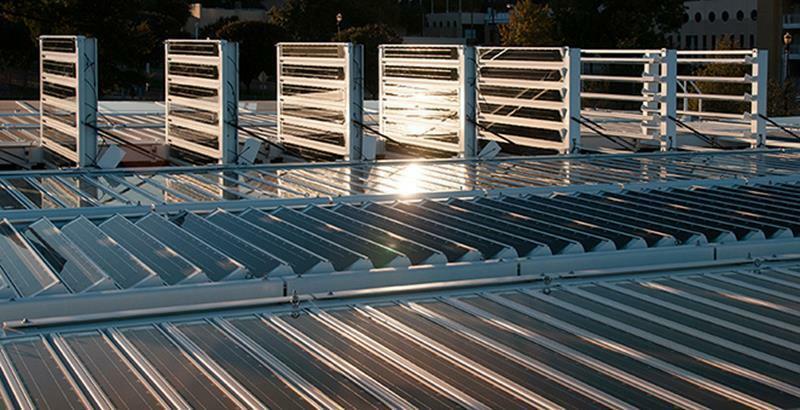 The movable aluminum louvers with integrated photovoltaics have been supplied and installed by GIG. 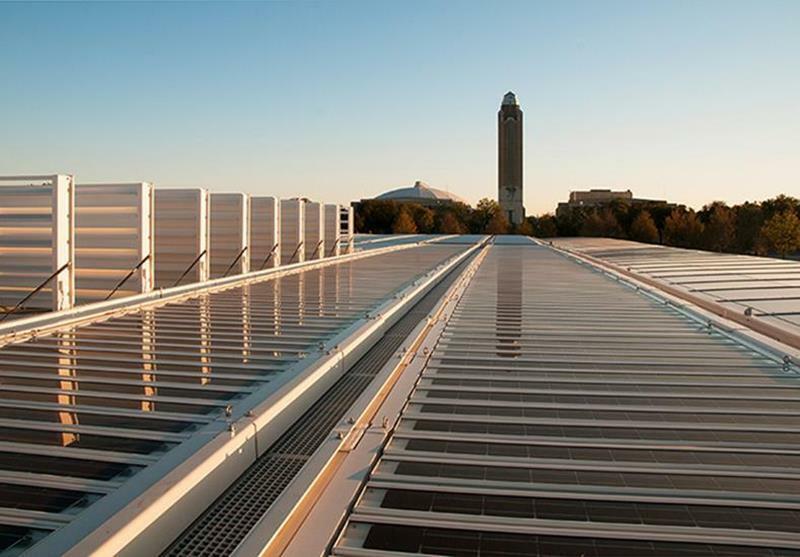 Whereas over 2,403 photovoltaic louvers have been integrated in 387 elements to regulate the light incidence through the glass roof of the galleries - infinitely controllable according to requirements. 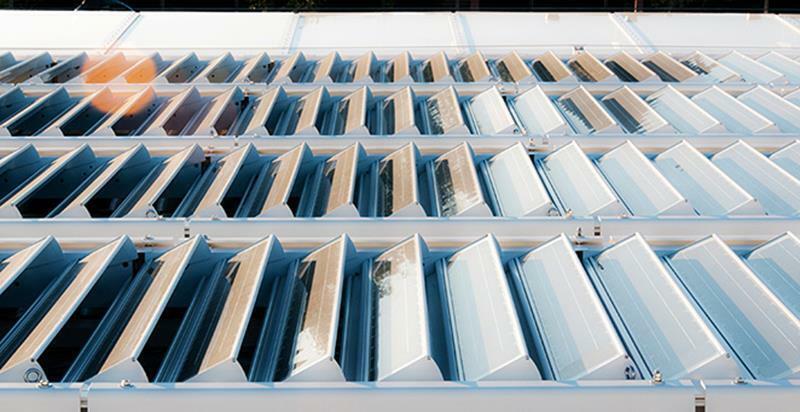 At the same time the movable louvers with a total area of about 1,000 m² produce approx. 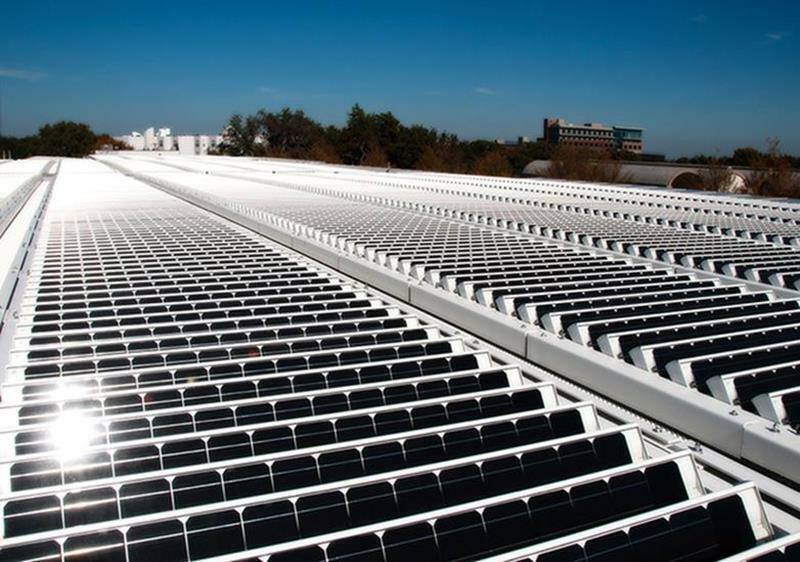 1.4 MWh of green electricity, with which about 500 households could be supplied per year. With this "Green Roof " GIG succeeded in being nominated for the U.S. A- Biz Award 2014, ranking in prominent society.